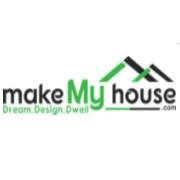 About: Make My House has a large collection of house design, home design, interior design, floor Plan and elevations. With the help of us you make an accurate home plan and precise model of your house & office according your personal needs. Make My House is a team of architects, civil engineers, interior designers and a lot of software engineers who love designing, who love construction, who love seeing a idea turn into a beautiful home.